What Else Can You Do for Your Ears? Audiologists offer many products and services to both adults and children. The most common services are hearing tests and hearing aids, but today I would like to talk about some of the lesser known items. 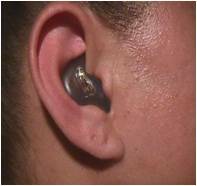 Hearing protection: Hearing protection ranges from very basic to more advanced. 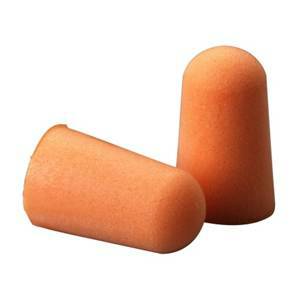 Foam ear plugs: These are the simplest form of ear protection that you roll between your fingers and place in your ears. These ear plugs offer the least amount of protection against loud noises, but can really help prevent against noise induced hearing loss. 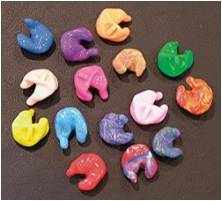 Custom ear protections: These are made by the audiologist, and require an impression of your ear to provide the right fit. Custom ear protection protects your ears from loud sounds. Overall, they are much better than the foam type because they are custom fit to your ears. These plugs come in a wide range of colors to choose from. 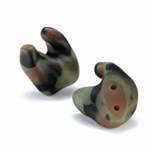 Hunter’s ear plugs: Hunter’s ear plugs are designed for a person who likes to hunt or shoot recreationally. The way these plugs work is they allow sounds to come in normally until a gun is fired and then they reduce the loud “boom” of the gun. It is critical for anyone using a firearm to know what is going on around them, and this type of protection allows them to do so. Musician ear plugs: This type of hearing protection is designed to help musician’s hear their own singing or instrument over other singers and the band. You may have seen these worn by musicians at concerts. These can help any band member and can also protect against noise induced hearing loss. Both the hunter’s ear plugs and the musician ear plugs require a custom mold of your ear that takes about five minutes for your audiologist to complete. 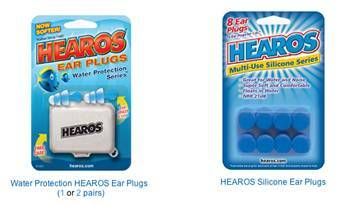 Swim plugs: These are used by adults and children to prevent against outer ear infections. These are designed to keep water out of the ear and keep the ear canal nice and dry. Wax: This can be used like the foam plugs to stop water from getting in the ear canal. This is the most common type of swim plug and does not offer the greatest water repellant. These can be purchased at your local drug store. 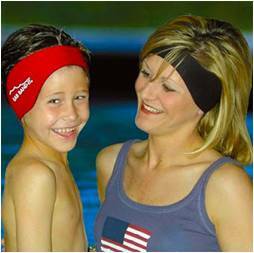 The Ear Band-It Headband: This is a new product on the market and is designed to be worn in the pool to help protect the ears from outer ear infections. These can be worn on the head like a headband and were developed by an Ear, nose and throat specialist. They can be purchased at http://www.heardepot.com/swim-protection-plugs/ along with several other swim protection devices. Custom: These are very similar to the custom ear protection but are designed for the purpose of keeping the water out of your ear. Custom swim protection can be used by both adults and children. These can also be made in several different colors and styles and are also designed to float in case they fall out of ones ear. An impression of the ear is taken in the office and these are made unique to each individual. These devices help patients who have hearing loss and need help in addition to or instead of hearing aids. These items can be purchased through your local audiologist or at hearing specialty stores. 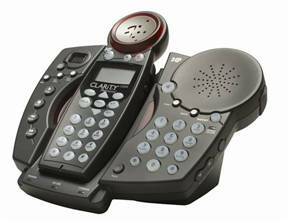 Amplified telephones: There are several different styles of telephones available that help a person with a hearing loss. These phones can help a person with a hearing loss hear the ringing of the phone and also help them hear the person on the other end of the phone call. 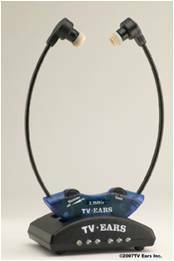 Amplified television headset AKA TV EARS: These items can be used by a person with a hearing loss to hear the television at a comfortable level while the others in the room can turn the television down to a level that is comfortable to them. This item is perfect for the person who turns the television up so loud that it bothers the people around them. You can talk to your audiologist about this item, and they can be purchased at RadioShack. Other amplified devices: amplified alarm clocks, amplified smoke detectors, amplified baby monitors and amplified stethescopes. If you have any questions about any of these products please contact your local Hearing Rehab Center and would like be happy to answer any questions you may have.